Read this post to learn how more frequent blogging can improve both your traffic and subscriber count. What Frequent Blogging Could Do for You. As you may already know, I’ve taken the Rock Star challenge this month and have decided to pickup my blogging frequency to one post per day. Amongst other things, I did this to compile data on how more frequent blogging would effect my analytics. More posts: More to promote on the interwebs. More variety: Once per week is not enough to gage what your audience likes. Fresh Content: Google loves it so they reward you with better placement. More Blogging = More Subscribers? The real reason I started the Rock Star challenge was to test how I could add more email subscribers. I thought by posting more and using buttons like the one below I could grow my email list. Call to Action is a good thing, right? As usual, what I thought and what actually IS true were totally different. I guess that’s another great reason to test your marketing. So here’s the data after the first week. 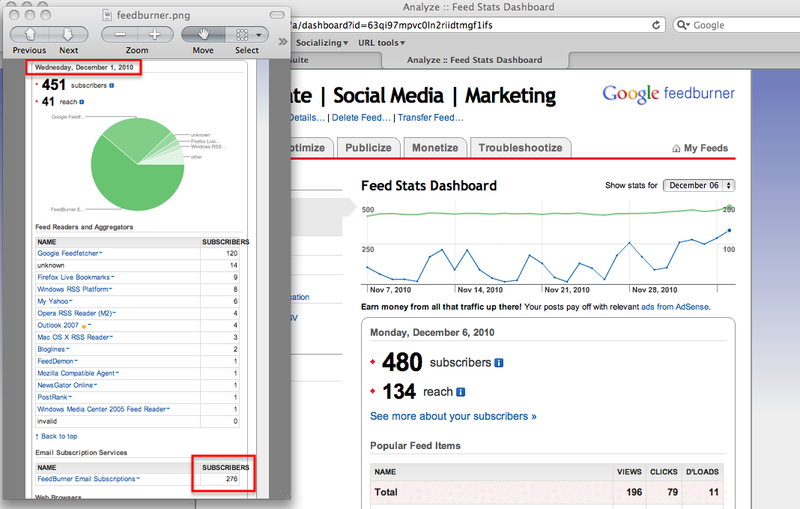 Although I only added 5 new email subscribers I added almost 30 RSS subscribers. The real advantage was my reach. When I started I was at 40 – compare that to the second photo a week later and you’ll see that I tripled my reach to 134. Can more Frequent Blogging help you? I think it can if you take a systematic approach. The first thing you could do is set the baseline – that would be your analytics from the day you start. From there you could test different types of content, or content frequency to see what gets the best results with your market. It doesn’t hurt to survey your audience from time to time to make sure you’re on the right track. One tip that I could give you right now to improve your reach (which I know is the reason mine improved so drastically) is to include more useful links in your post. This makes the content more interactive, exciting, and interesting. I’m amazed so many people are using RSS still. Yeah, I was surprised too. I guess it’s still an effective way to scan headlines. I do it when I need something to post.